F.A.I.T.H. - Laina Orlando - F.A.I.T.H. 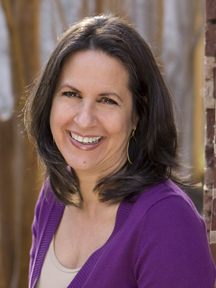 Laina Orlando, an Atlanta resident for the past 27 years, is a writer, speaker, Awareness Coach, and author of The Power of Awareness Program. She is the founder of The Center for Awareness which is committed to serving as a resource of educational and experiential processes that guide seekers on the Journey that leads to Spiritual Awakening. Since 2007, Laina has been an active member within Atlanta’s spiritual community, speaking, teaching, or leading workshops in various centers, including Unity Churches, The Spiritual Living Center, and various corporate organizations such as Kennestone Hospital. An ordinary woman, who has undergone an extraordinary spiritual transformation, Laina takes a fresh and fun approach to simplifying spirituality for today’s seekers of truth. Laina’s own awakening inspires her to share what is possible when one truly commits to navigating the path of self-awareness. By investigating our personal psychology and general worldviews, we become aware of the limiting beliefs we have been conditioned to accept about ourselves and others, which cause us to have a fear-based and limited experience of life. Through simple techniques, humor, and timeless wisdom, Laina transforms weighty spiritual concepts into practical bite-size morsels that can be easily applied to everyday life. Laina’s mantra: Life is fun and easy. Her mission: to awaken humanity to the magnificence within.